Remember how we mentioned a visit to the National Museum of the United States Air Force back in our previous post? 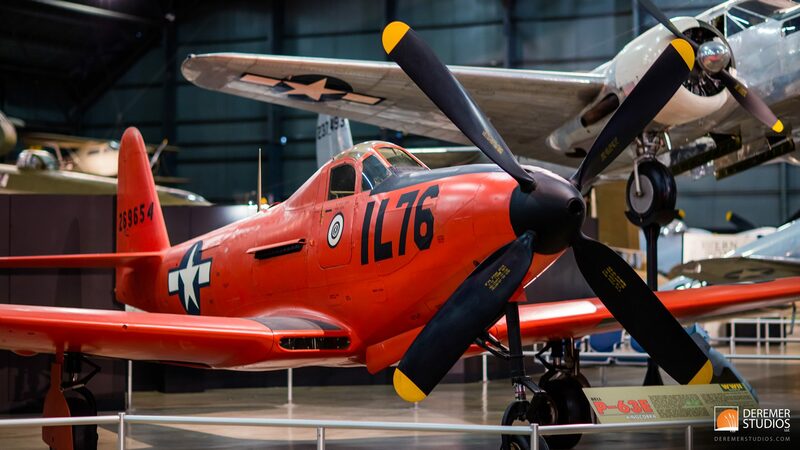 Well, with all the hundreds of aircraft on display at the Air Force Museum, we thought it would be appropriate to give the museum its own post. Way back in 1995 – when I still was still a high-schooler certain of my trajectory toward the Air Force Academy – we visited Dayton on our one and only great cross-country family vacation. In fact, I have three hours of home video narrated by a voice-cracking, mumbling, monotone yours truly as proof of our trip – that, and about 200 photos (and that was in the days of film no less!). 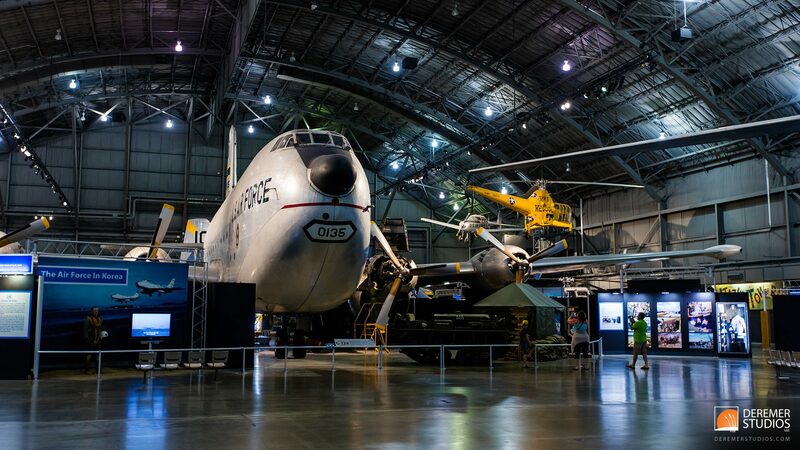 So, when I discovered I’d be headed up to Ohio again for a shoot, I made plans for a nostalgic visit to the Air Force Museum. While things here and there have changed (and expanded! ), the waves of nostalgia still flooded over me as I rounded the corner to the parking lot. I hadn’t even entered the exhibit halls yet – and I was already reminded of our trip some 20 years ago. Once inside, the memories kept coming – and even a few surprises. When I entered the second hanger, filled with aircraft from the Korean and Vietnam wars, I had remembered that they had a B-52 on display (a massive plane that goes to show you just how gigantic the hangers are), but I was stunned to see that it was a dead ringer for the B-52 model I had assembled in high school – down to the placement of the camouflage patches! I had completely forgotten I had painted my model after this one! 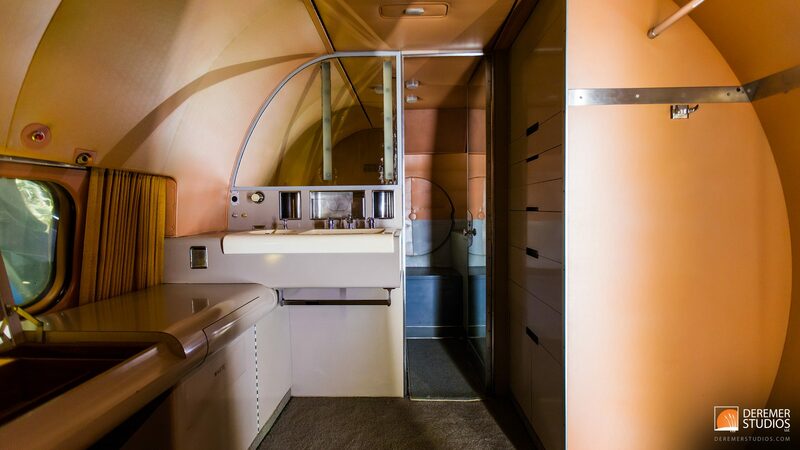 One other unique bit of history, though a new addition to the Air Force Museum, was a collection of a half dozen presidential aircraft – including everything prior to the current 747. Best of all, you could tour four of the aircraft from nose to tail! It was a great experience! It’s a good idea to be prepared for anything – like a delayed flight, or your car breaking down, or who knows what… That’s why we always plan a buffer day in our business travel – allowing us to get in and settled with a day before our shoot. It also affords us time to scout the area if needed, and then there’s the other reason we love to have an extra day – to explore and shoot fine art photography! 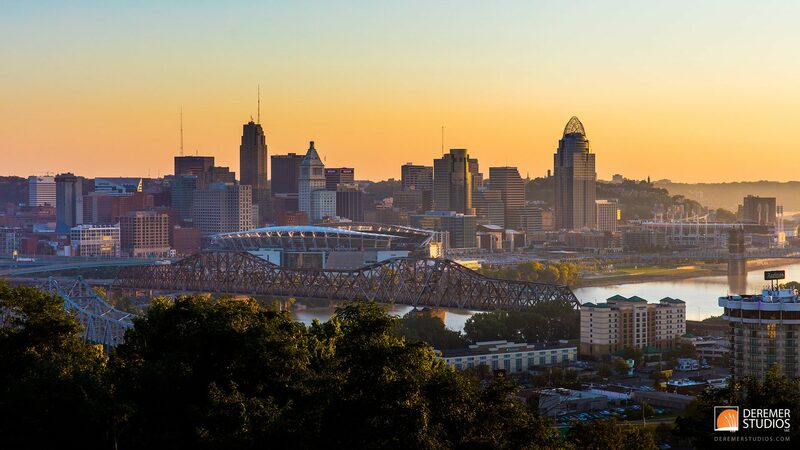 Such was the case when we headed to Cincinnati with one of our clients a few weeks back. Thankfully, travel went great, and we had a whole day to explore Ohio. Here’s a sampling of our favorite fine art shots from the trip! Over the years, we haven’t spent much time in Ohio. In fact, I think this was only my third time in the state – which, of course, is all the more reason to explore. And explore we did – setting out from Cincinnati, exploring rural Ohio as the sun rose, setting off to the National Air Force Museum in Dayton, and then heading down to Portsmouth, OH, along the banks of the Ohio River. From there, we chased the setting sun, traveling west along the shore, hopping back and forth between Ohio and Kentucky on our way back to Cincinnati. It was a wonderful day of exploring a part of the country I haven’t really experienced before. What surprised me the most? Probably the Ohio River itself. It was bigger than I expected, and with far fewer crossings than I would have thought. It was tricky enough to get from one side to the other today – I can only imagine the barrier it was to commerce and travel 100 years ago! While Florida was bracing for Hurricane Hermine, I was helping to liberate a 2016 Toyota Avalon from the path of the storm. That weekend, I had an event to photograph for one of our automotive clients in Cincinnati, and so we journeyed north with this deep-maroon Toyota Avalaon from Avis to photograph while on our adventure. Our mission was to capture autumn themed photos. But what do you do when you need fall photos and fall has yet to arrive? Take advantage of dusk and dawn – where the sunlight takes on a golden hew and gives even bright green trees a touch of autumn glint. I’ll let you be the judge of the results. So, what was it like to put 2,000 miles on a 2016 Toyota Avalon? 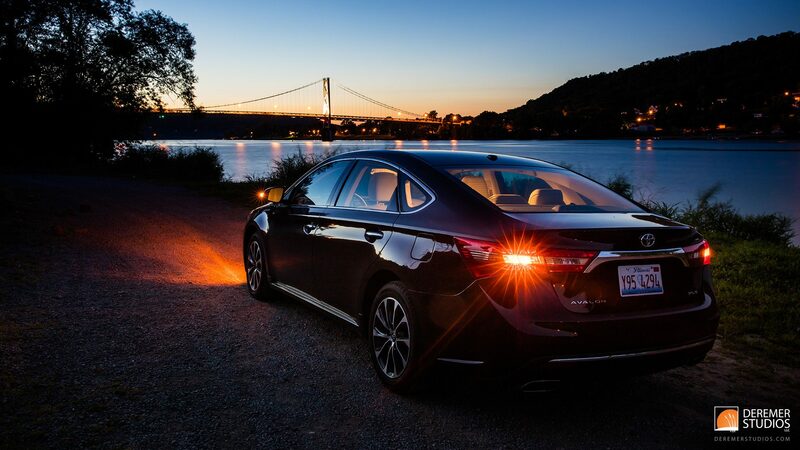 To be honest, it was a bit of a mixed bag – especially when you consider that it’s Toyota’s flagship sedan. 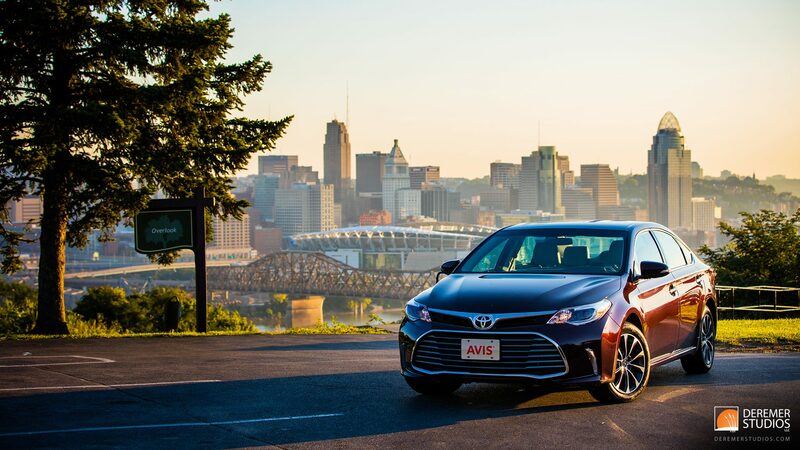 As with all Avis cars, the Avalon was nicely equipped, with extras such as a big infotainment display, dual heated seats, rear ventilation, and a sports package, complete with paddle shifters. Add to that, it was comfortable, smooth, roomy, stylish, and had surprising performance for a car that seems to have been typecast with the ever-dreaded “old person car” moniker. But there were a few frustrations on the drive as well – most notably the smart phone-based navigation solution that proved anything but… Unlike Apple Car Play, which our last Avis car, the 2016 Chevy Corvette sported, Toyota employs a third party app called Scout GPS. Not only did the app fail to connect about 60% of the time – even when it did connect, the navigation information was minimal. The app offers only turn by turn information, but without standard options like a browsable map (or any map at all – aside from one static map that shows your entire route, reminiscent of the old systems you could used to track your progress on an airliner), lane assistance, or the ability to download offline content. 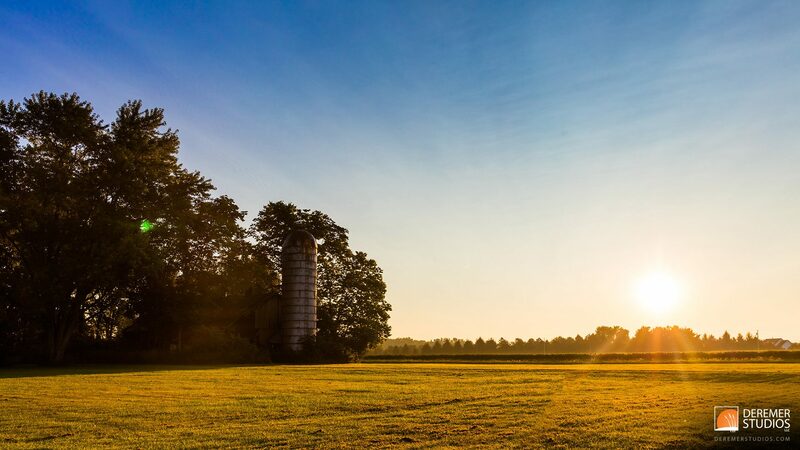 This proved a big headache – especially in rural areas where our cell signal was often non-existent – but the connectivity issues between the car and the app were just as frustrating. Beyond my tech frustrations, the fuel economy was also only okay – with highway mileage struggling to get above 31 mpg. All in all, the car was just that – okay. There were many nice features, but several issues you just wouldn’t expect from a can in 2016. 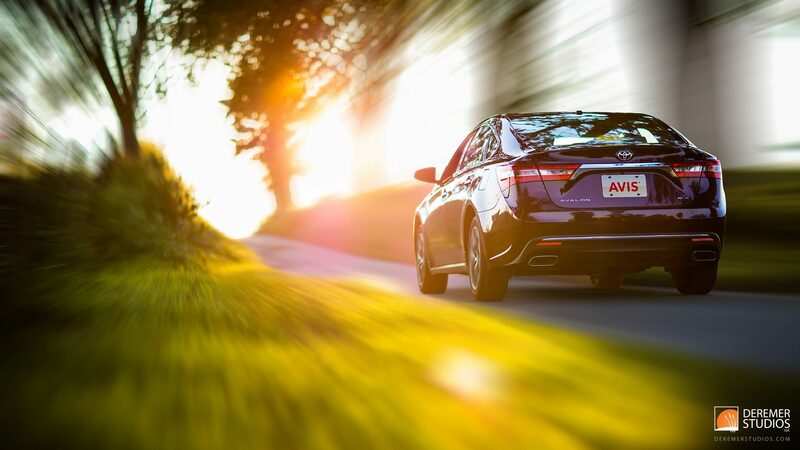 In my estimation, Toyota’s attempt to make the Avalon a performance car, a luxury car, and a tech-savvy car, all while keeping it affordable, resulted in a car that doesn’t quite hit the mark in any of those categories. But then again, if you’re looking for a car that checks off all those boxes with excellence, the price tag’s going to be quite a bit higher.